Home / Bags / Pouches / The Jane – Medium Accessories/Make-Up Pouch. 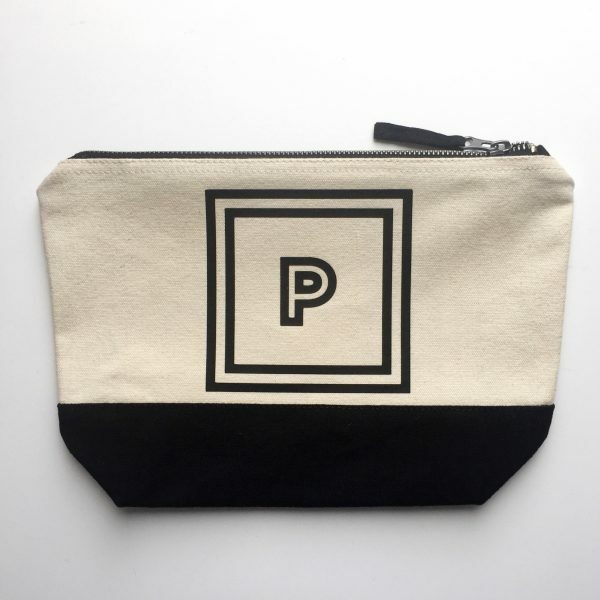 The Jane – Medium Accessories/Make-Up Pouch. 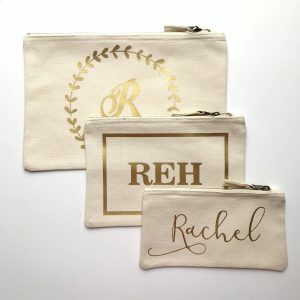 This design is such a lovely gift for a friend or for your Bridesmaids! 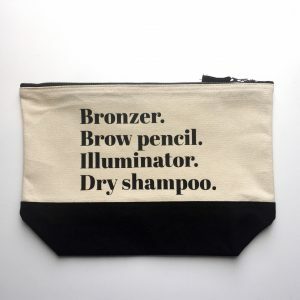 The Jane makeup bag is a simple design that is a great gift idea for friends, bridesmaids, or just a gift to yourself! 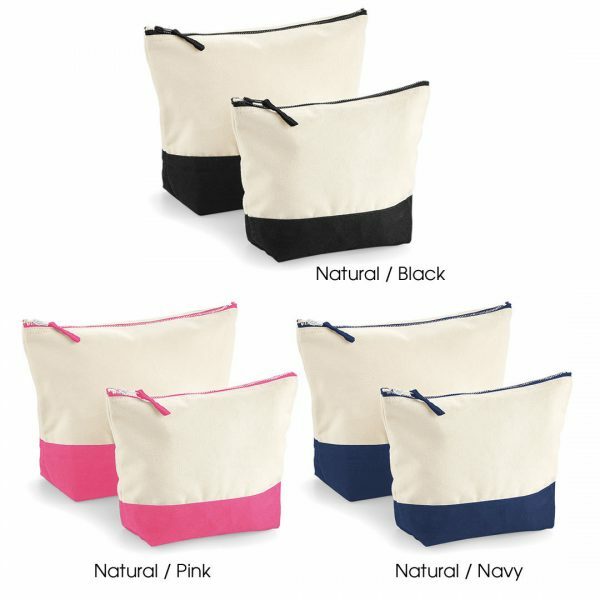 Choose from natural/black, natural/navy or natural/pink. Our square initial pouch is 100% Brushed cotton and comes in 2 sizes M – 19 x 18 x 9cm, L – 23 x 23 x 11cm. 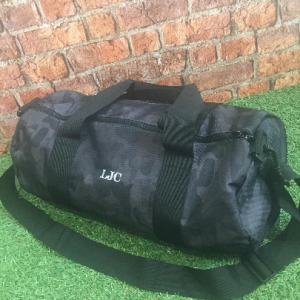 The Jane – Large Accessories/Make-Up Pouch.